Ganga Thampi, 34 is a classical traditional Indian dancer at the prestigious Kalakshetra school for the arts, Chennai (founded in 1936). 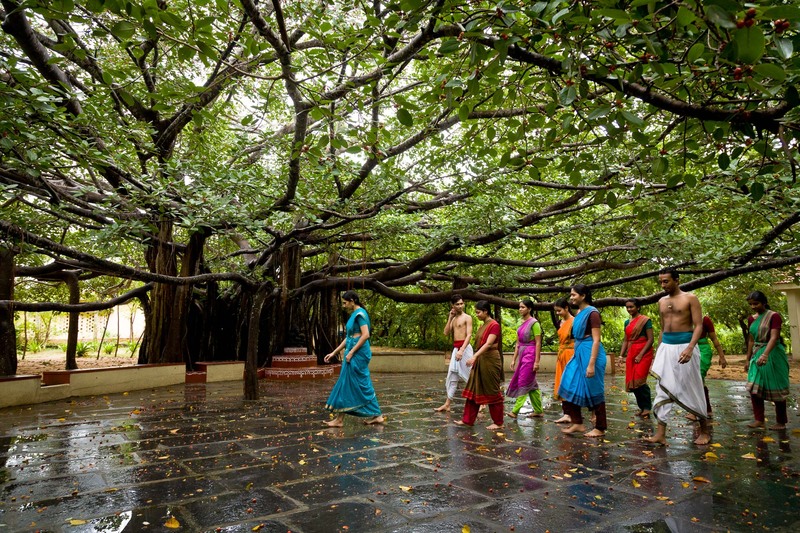 Seen here walking through the courtyard of the school together with her young students in the demanding art of this ancient cultural heritage that is informally known as "temple dancing". The school's history spans over 80 years maintaining its traditions and discipline as was originally founded. Ganga dances the role of Sita from the revered Ramayana epic, Chennai, India.